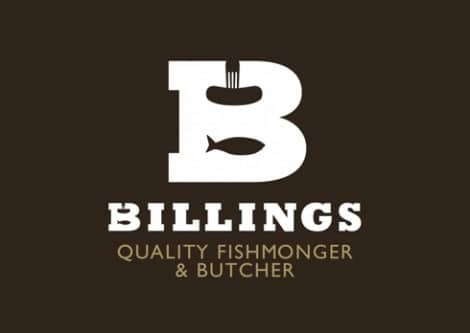 The ‘What if Project’ is a great idea by Designed By Good People, and this particular feature ‘Billings‘, improving shop logo design, highlights something that I feel really quite strongly about as a designer. Living in a small seaside town we have our fair share of shops with just the most despairing of shop signs, logos and hoardings. This is typical pretty much everywhere; the apparent uninterest in anything remotely visual for their outward identity contradicts the passion at which some invest considerable amounts with interior furnishings and decoration. The cost of the latter usually far exceeding the cost of what a reasonable logo design could cost leaves me a little frustrated. I shouldn’t be surprised at all, yet every time I walk into town and see those same shops using Comic Sans and Papyrus—and that’s not me trying to exaggerate or be sarcastic—I just wish I could do something to help the overall visual aesthetics of these shops in my town. Oftentimes I just think I will drop leaflets in the door offering free make-overs for one shop every month until all shops have, at least, semi respectable shop logos and shop signs. What can you do for your town? The ‘What if Project’ is something that I am thinking about alot right now as I have a new identity project for a client who is setting up a new bike shop in the UK. This will be a physical store as well as online, so I am keen to design something that is appropriate, but that also shows that not all small town shop owners don’t care about their identity. Having a client who is also keen to step and and have something that is visually unique and inspiring helps of course. 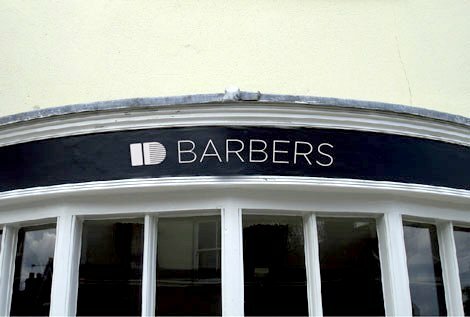 A few years back I designed a nice little logo for a little village hairdressers, ID Barbers. Seeing this come to life and used felt good. I may still approach some shops in Seaford and do exactly what I would like to do: help improve just one tiny aspect of how a town can be perceived, and enjoyed. Let’s bring some shine to peoples’ day-to-day shopping grind.